Pokémon Bank is now available on the Nintendo eShop, ending a delay more than a month long. The Bank allows players to store and manage up to 3,000 pokémon online, even moving them between Pokémon X and Y. The app is free to download and use beginning today through March 14. After that, a $4.99 annual subscription fee will apply. The Bank was supposed to have released two days after Christmas but a general outage affecting all of Nintendo's online services put that on hold indefinitely. 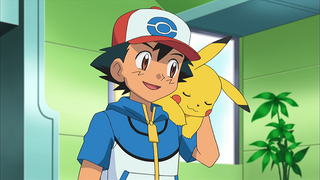 Pokémon Transporter, allowing players to move their pokémon collection from Pokemon Black and White and Pokémon Black 2 and White 2 was set to join it in December. No word on when it will be available. The Pokémon Bank app is available in the 3DS eShop; it should be the first thing you see when you log in.